My wife and I recently were in a local appliance store. As we perused our freezer options, a cowboy sauntered in from the back of the store. I say sauntered because that is exactly how he walked. His boots making the familiar clack-tap with each step on the hardwood floor. It seemed like a slow, relaxed echo from a saloon of the old-west. As I turned, I saw exactly what I expected to see. The epitome of a cowboy -worn cowboy boots with a little manure clinging to the heel, Wrangler jeans, large belt buckle of rodeo origin, leather vest over a western shirt, a handle-bar mustache, and a dirty black cowboy hat. I watched him make his transaction and he sounded exactly as I expected. He talked with the cashier in a slow, western drawl, about the weather, hunting, work to be done, and the superiority of cash to credit cards as he pulled two hundred dollars of twenties from his leather wallet. “Now, there is a unique individual”, I thought but then I immediately wondered “is he?” Could he really be my personified ideal of an individual if I knew exactly what he would look and sound like? He was the epitome of cowboy; that is not unique. In a society that idealizes the concept of individualism, I see few examples of truly unique individuals. The images associated with these labels that flash through our brains are probably very similar. There are stereotypes for even those who many consider the most unique of our society. It seems that there are few truly distinct individuals and I wonder the extent to which any human lives uniquely. Even the most unique among us still end up in some stereotypical flock. We often confuse individualism with genius or exceptionalism or independence. For me, the truly unique individual is the one who lives outside the imposed influence of society in general and his own neighborhood in specific. Yet, is that even possible? More importantly, is that a state that should be desired? I was recently watching some videos on birds flocking. The mesmerizing movement of these flocks make it seem like an orchestrated control over the mass. Yet, we know that the actions are the agglomeration of each animal’s individual decisions based upon a local perception of their surrounding. Science does not know how birds flock without sheer chaos and crashes. Wayne Potts studied birds flocking in 1984. He found that the turning of flock can spread from bird to bird three times faster than any individual bird’s reaction time. This suggests that there is not much thinking occurring within each individual bird as they fly along. They are most likely responding unconsciously to the actions around them. Attempt to match the speed of nearby flockmates; collisions are unlikely if the velocity of the individuals are similar. Attempt to stay close to the nearby flockmates; there is a stronger influence of nearby neighbors than distant members of the flock. I wonder, if we could achieve a broader perspective, whether the activities of man would appear more like the random motion of a flock’s unconscious decisions rather than a choreographed pattern of deliberated reason. How many times have you wondered, “how did I get here”? Just as a bird may be baffled by how it came to alight in a field miles from its origin, I often feel swept away from principles and priorities to find myself in a cultural landscape far from my origin. We are all influenced by friends and family. We are inundated by beliefs and values through education and entertainment. It seems as if norms are cast aside without much thought or consideration. I’m baffled by where we often find ourselves. I wonder if we humans are more influenced by the Reynolds’ rules of flocking than we care to admit. Soren Kierkegaard referred to it as being lost to the finite, which is mindlessly following social conventions. It is accepting the current paradigm of expectations without consideration. Consider the bird in a flock; that bird probably thinks that it is acting as an individual but it is really at the mercy of those around it. That bird has lost its individuality to the finite influences of the flock. Are you conflict adverse? Will you go along with ideas or activities that you don’t agree with simply because you don’t want to offend or be excluded? If your first tendency is to subjugate your actions to those of others, then you might be flocking. Do you simply accept the ideas of experts? Do you match the actions of those you respect because surely they have thought it through? If your tendency is to receive thoughts rather than think them, then you might be flocking. Is your identity associated with affiliations? Do you follow along with the group for fear of being left behind? If you tend to move with your community even when it is turning away from core beliefs, then you might be flocking. Every person who has bucked these rules have found themselves outside the flock. I think that the reason we see so few true individuals is due to the fact that living outside the flock is hard. In fact, I don’t think that we were ever meant to live outside the flock. The problem is that we often choose the wrong flock. I believe that we created flock. We were created to flock to God. We were meant to instinctively know and follow God. The problem arises when we substitute the voice of God with the voice of man. 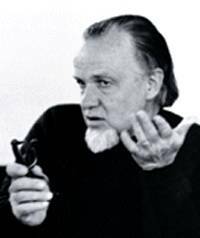 The truly unique individual is the one following the voice of the Shepherd because only He truly knows each person in the unique personhood. True self is only found in relationship with God. You avoid collisions with God. You know that sin causes conflict with the Shepherd. Therefore, you strive toward obedience to the will of God in your life. If your first tendency is to subjugate your actions to God, then you’re probably flocking to your Shepherd. You match everything to the Word of God. You don’t simply accept the ideas of others but you examine those ideas to the scriptures to see if they are true. When you match your beliefs with the Bible, collision with God are unlikely and you’re probably flocking to your Shepherd. You strive to stay close to the leadings of the Spirit. The Shepherd takes each of us through life with many meandering turns. If your tendency is to follow even when you don’t understand, then you’re probably flocking to your Shepherd. The Church should be a conglomeration of truly unique individuals. It should be a beautiful flow of individuals, each participating from their unique personhood revealed through their relation to the Good Shepherd. There should be a stereotypes for those who are in Christ – the image of Christ and the Fruit of the Spirit. Unfortunately, that is often not the stereotype that Christians are known for. The problem rises from the fact that too many who profess Christ are still lost in the finite and flocking to the mentality of man. We, as unique individuals in Christ, have the continuous task of keeping our flocking instinct focused on the correct initiator. The hardest of all tasks is to recognize when we are quietly losing our self to the influences of the world rather than influencing it. Living as a unique individual in relation to God is rare because it is hard. Obedience to God will result in conflict with people. You may be hated for your refusal to follow the flow of man. But take heart, God has overcome the world! We will always be secure. Following the Bible as the inspired Word of God will result in being excluded. You may be ridiculed for clinging to traditions or supposed doctrines of bygone days. will inherit the promise – eternal life. Following the path God has laid before you will result in periods of isolation. You may find yourself abandoned and alone as others drift after the ideas of man. But take heart, we are never abandoned or forsaken. Living as a truly unique individual, looking to Jesus, the founder and perfecter of our faith, will be hard but the promise of the joy set before us will be so worth all that we may have to patiently endure. Keep your eye on Jesus! He will never fail you. In honor of Epictetus, a Greek speaking Stoic philosopher, who died in 135. 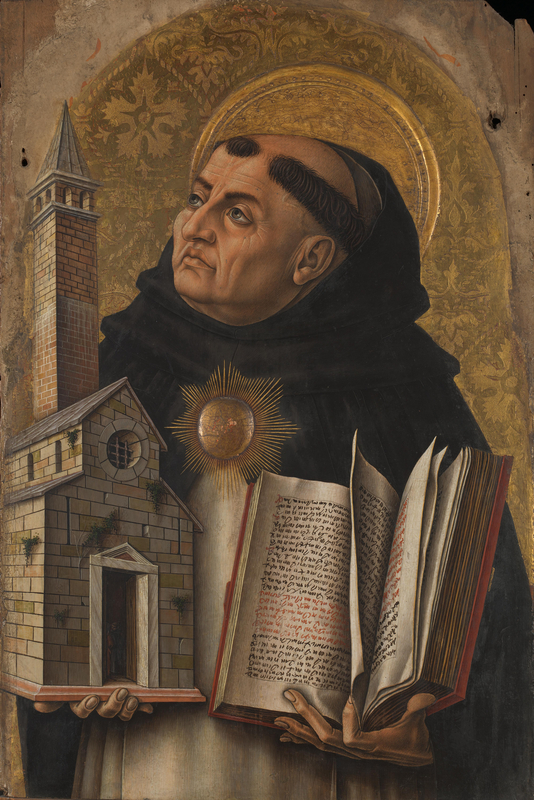 In honor of Thomas Aquinas, an immensely influential theologian and philosopher whose Summa Theologica is one of the most influential documents in medieval theology. He was born on this day in 1225.